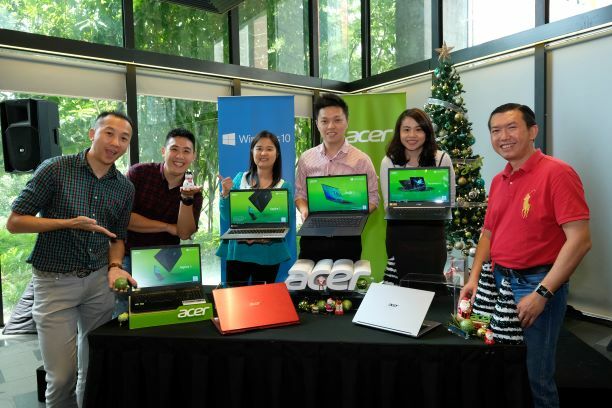 Petaling Jaya, 20 December 2018 – Acer Malaysia today wrapped up an incredible 2018 by previewing the world’s lightest 15-inch laptop as well as unveiling a host of other laptops, desktop and monitors just ahead of the season of giving. 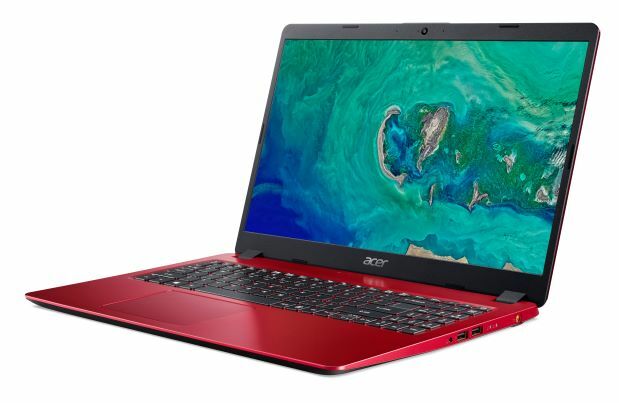 The introduction of the Acer Swift 5 and Swift 3 expands the immensely well-received Swift series which is designed for users who want superb portability, solid performance and a touch of style. The Acer Aspire 5 is ideal for families and users who need a powerful, function-rich notebook for media consumption. 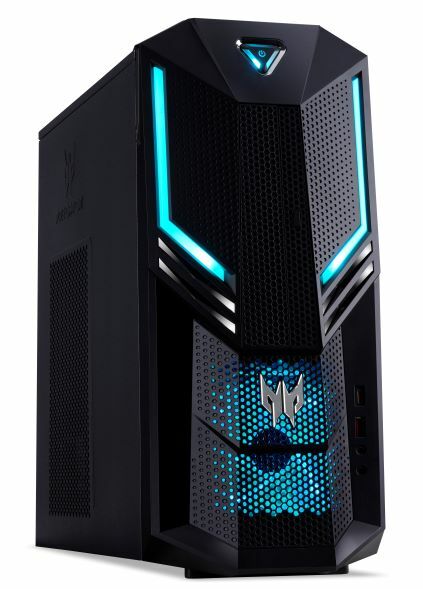 The youngest sibling in the Orion family, the Predator Orion 3000 is a mid-range gaming desktop perfect for gamers looking for performance and style. Also unveiled were two 31.5-inch monitors designed for both gamers and multimedia consumers. Users who are seeking a sub-1kg 15-inch laptop, rejoice! The new generation Acer Swift 5 pushes the design limit of a 15-inch laptop to weigh in at an incredible 990g. Measuring 15.9 mm thin the Acer Swift 5 is constructed with ultra-light magnesium-lithium alloys for the top and bottom covers and magnesium-aluminum alloys for extra sturdiness on the palm rest area. This design creates a strong yet exceptionally lightweight Swift 5! It is designed for users who want superb portability, solid performance and a touch of style. This elegant and durable Acer Swift 5 is highly acclaimed for its fast and responsive system and capability to run multiple tasks simultaneously. With up to 512GB PCIe NVMe SSD, it delivers a 30X faster response time than a regular HDD. Security is made easy by the password-free Windows Hello with Fingerprint Reader! With a 15.6-inch Full HD IPS touch display, the Swift 5 features ultra-narrow bezels measuring just 5.87mm to give it an incredible 87.6% screen-to-body ratio that maximizes viewing experience. It provides amazingly accurate colors and increased clarity with 100% sRGB and 300 nits of brightness. It also features patented Acer Color IntelligenceTM technology, which optimizes screen color and brightness without clipping or over saturation in real time, and Acer BluelightShieldTM technology which allows adjusting of the screen’s blue-light emission over extended periods of use for eye protection and comfort. With a battery life of up to 10 hours, Acer Swift 5 is designed to be the performance companion for the entire day, tackling countless tasks and meetings without constraints of cables or power sockets. 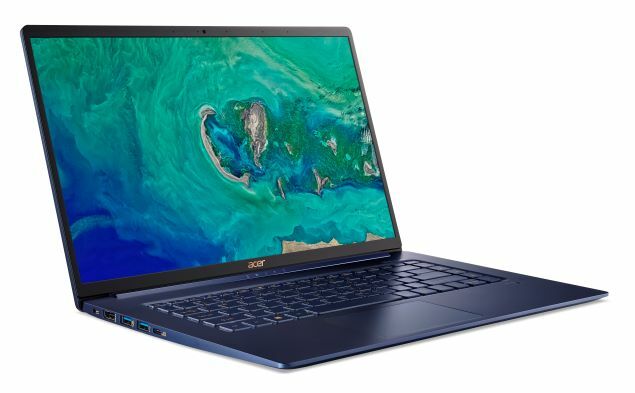 The Acer Swift 5 will be available in charcoal blue and steel gray in Malaysia soon. With an ultrathin design measuring just 14.9mm, the Acer Swift 3’s light 1.35kg weight makes it easy to carry around. Its sleek aluminium body is cool to the touch and gives this laptop a sense of personality. The new Acer Swift 3 is powered by the latest 8th Gen Intel® quad-core processor for the most complex of tasks. 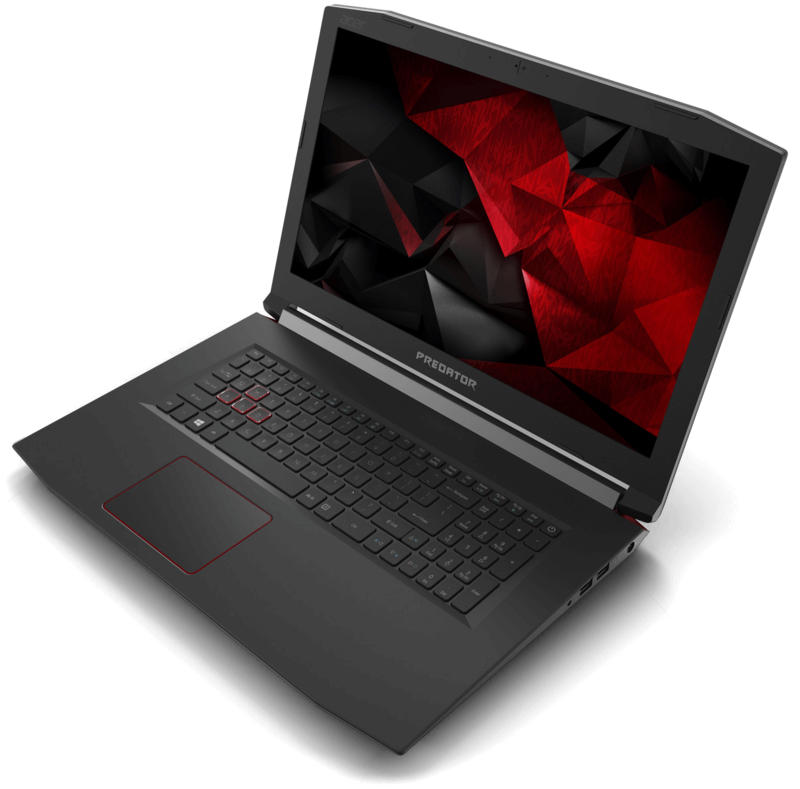 With a dedicated NVIDIA® GeForce® MX150 graphics card onboard, users can further maximise its powerful performance to play games, edit photos or videos and take on graphic-related work and play that are the necessities of modern lifestyles. Thanks to IPS technology that offers vivid colors at up to 178° wide viewing angle and its lay-flat 180° feature, the Acer Swift 3 makes the sharing of viewing on the 14-inch Full HD narrow bezel display with friends, easy. The Acer Color IntelligenceTM optimizes screen color and brightness without over saturation, while Acer BluelightShieldTM technology protects the eyes over long usage period. Acer Swift 3 supports up to 512GB PCIe NVMe SSD and up to 8GB onboard DDR4 to provide quick and efficient performance. It is also equipped with a USB Type-C connector port and USB 3.0 that supports power-off USB charging. Connectivity is made fast with 2x2 802.11ac Gigabit Wi-Fi or 4G LTE platforms that ensures signal remains strong and consistent. Available with Intel® CoreTM i5 with 256GB PCIe NVMe SSD and Intel® CoreTM i7 512GB PCIe NVMe SSD with NVIDIA® GeForce® MX150 Graphics, the Acer Swift 3 is priced at RM3,599 and RM4,399 respectively. Both variants are available for purchase immediately at Acer official online stores and authorized resellers nationwide. Ideal for families and users who need a powerful, function-rich notebook for media consumption, the Acer Aspire 5 is delightfully slim at 17.9 mm thin and light at 1.8kg for a 15.6-inch laptop – It certainly offers both looks and mobility! The hairline brushed pattern provides an exquisite, tactile finish, accenting the premium aluminum cover in the colours of pure silver, lava red or obsidian black, so users can travel with ease and look great doing so. Available with up to 8th Gen Intel® CoreTM i7 processor, the Acer Aspire 5 delivers excellent performance. This is brought a notch up with an NVIDIA® GeForce® MX150 graphics card that provides up to 4X faster performance compared to integrated graphics cards. With the integrated Gigabit Wi-Fi wireless technology and strategic antenna placement, experience up to 2 times faster wireless performance than previous 2x2 802.11ac technology. Blazing fast connectivity is indeed here with the Acer Aspire 5! The narrow 7.82 mm bezel design offers more real estate for amazing images and video. 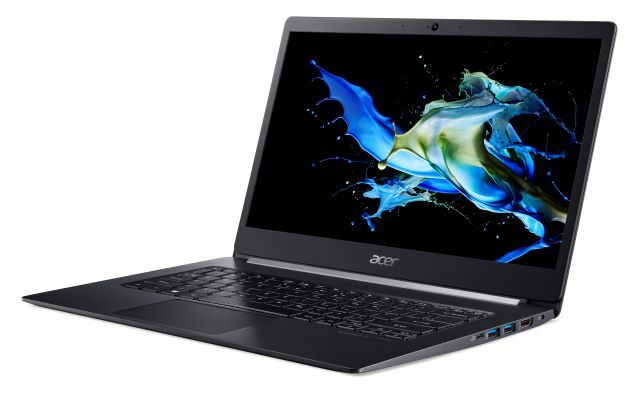 With a 15.6- inch Full HD IPS display and Acer Color Intelligence, crisp, true-to-life colors come alive. Users can adjust gamma and saturation in real-time, optimizing screen color and brightness without clipping. On top of computing performance, Acer TrueHarmonyTM Audio brings sounds to life. Acer Aspire 5 now also offers better experience; the Windows Precision Touchpad is more responsive than traditional touchpads, enabling more effective work. Cortana compatibility is yet another powerful feature that gives freedom of voice control. Meanwhile, the Skype Certified for Business means you can use cutting-edge audio and video technology when sharing news with family members or hosting international conferences. The pure silver, lava red and obsidian black color Acer Aspire 5 available in Intel® CoreTM i5 is priced at RM2,699 while the higher speed obsidian black Acer Aspire 5 comes with Intel® CoreTM i7 and extra 128GB SSD is priced at RM3,599. Both variants are available for purchase immediately at Acer official online stores and authorized resellers nationwide. 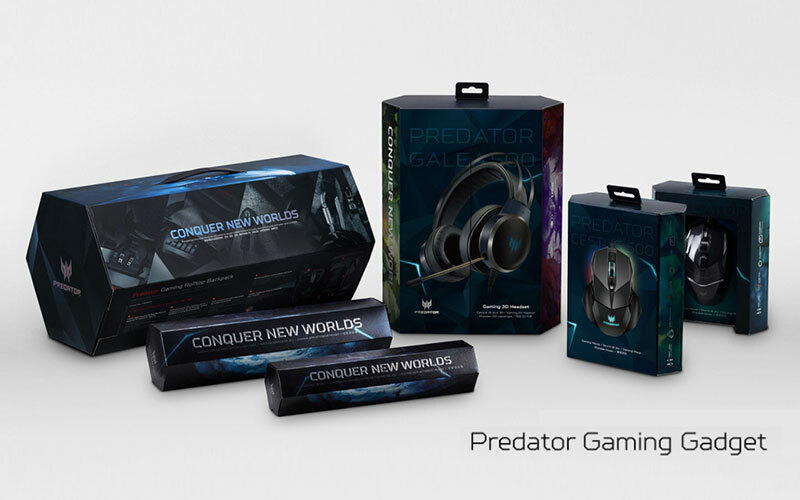 A member of the Predator Orion family, Predator Orion 3000 features the same attractive design language as its bigger siblings, RGB lighting, sleek lines, blue accents and built-in headset cradles. Excellent cooling solution is achieved with a front-facing intake LED fan, mesh cover and rear exhaust for optimized air flow throughout the chassis. Joining the line-up of displays from Acer is the new and bigger Acer ED323QURA monitor that features a 31.5-inch VA curved 16:9 screen with WQHD 2560 x 1440 (2K) resolution display. With a 1800R curvature, it provides an immersive experience with a wider field of view and increased perceived area of peripheral vision compared to a flat display. It also comes with a wide viewing angle of up to 178° that enables all users to enjoy stunning images from every angle. With AMD Radeon FreeSyncTM technology, the ED323QURA monitor supports up to 144Hz refresh rate and 4ms response time to offer smooth gaming experience by eliminating screen tearing and minimizing lag and latency. The monitor supports DVI (Dual Link), HDMI 2.0 and DisplayPort and is ideal for entry- level gaming and home entertaining. The monitor can be tilted from -5° to 15° for comfortable viewing position. With Acer VisionCareTM and ComfyView display, Flicker-less, BluelightShieldTM and low dimming technology, the Acer ED323QURA monitor protects from eye strain and provides a more comfortable viewing experience. Priced at RM1,499, the Acer ED323QURA will be available immediately at all Acer official online stores and authorized resellers nationwide. 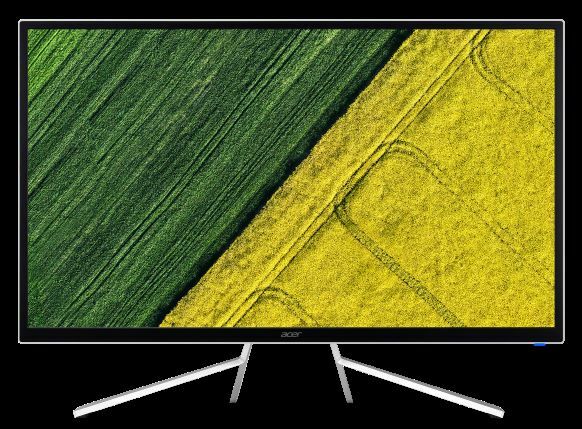 Featuring a 31.5-inch 4K UHD (3840 x 2160) display with IPS technology, the HDR-ready Acer ET322QK is designed for vivid and accurate visual experience. The 4K2K UHD with 4X 1080p resolution presents sharp visuals that are more stunning and high quality. 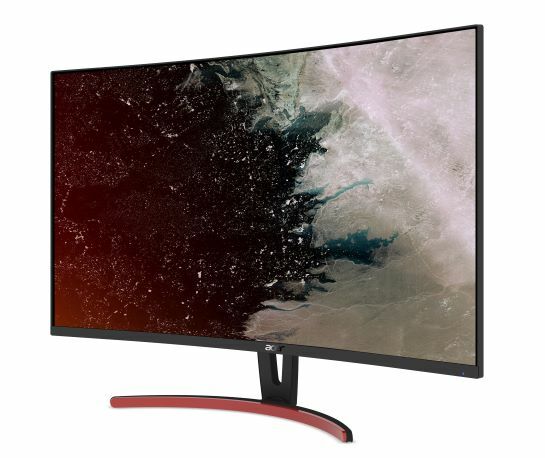 With the AMD FreeSync technology via DisplayPort and HDMI, the monitor’s frames are synced with the graphics card’s frames, eliminating screen tearing and delivering smooth gaming experience. The Acer ET322QK has wide color gamut technology to deliver 100% sRGB color coverage for presenting real, natural colors that are consistent across all applications and making it suitable for print-related works. The monitor uses a unique form of 6-axis color adjustment to allow users adjust the axis range from R, G, B, to C, M and Y, enabling users to adjust the monitor’s colors to their professional needs. A wide 178° viewing angle provides viewers with perfect color regardless of position. It is also packed with the eye-protecting technologies of Flicker-less, BluelightShieldTM, ComfyView and low dimming to ensure no eye strain even during long viewing. Priced at RM1,499, the Acer ET322QK will be available immediately at all Acer official online stores and authorized resellers nationwide. Available in three variants of 256GB M.2 PCIe NVMe SSD or 512GB M.2 PCIe NVMe SSD in the 8th Gen Intel® CoreTM i5 option and 512GB M.2 PCIe NVMe SSD in the 8th Gen Intel® CoreTM i7, the 8GB DDR4 onboard memory TravelMate X514 is built for professionals who expect uncompromised productivity from their device. With its super light 980g weight, this is also a laptop that is easy to carry around for users to efficiently get work done and enjoy play with no charging necessary thanks to its up to 10-hour battery life. The industry-grade security ensures that security is not compromised when users are tackling serious workload from anywhere. Hardware-level Trusted Platform Module 2.0 ensures secure authentication and safeguards company data. Windows Hello is activated via the built-in fingerprint reader for easy and secure access with just a fingertip. Its 14-inch Multi Touch FHD display provide more viewing real estate while a USB 3.1 Type C, two USB 3.0 plus a HDMI ports and 802.11 ac/a/b/g/n wireless LAN supporting 2x2 MU-MIMO technology and Bluetooth enable users to do more. 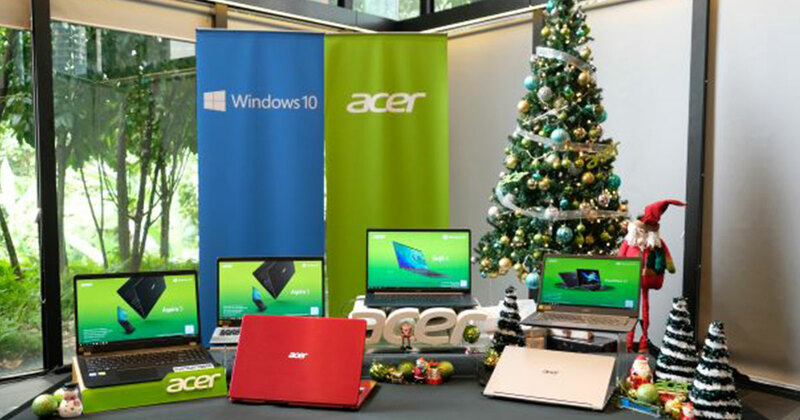 All variants are shipped with Win10Pro and are available in January 2019 at all Acer official online stores and select authorized resellers nationwide. The TravelMate X514 is priced at RM4,499, RM4,699 and RM5,299 for the CoreTM i5 with 256GB SSD, CoreTM i5 with 512GB SSD and CoreTM i7 with 512GB SSD variants respectively. For more information please visit Acer Malaysia Facebook or call Acer’s Product Infoline at 1800-88- 1288 (9am – 6pm, Mondays to Fridays). 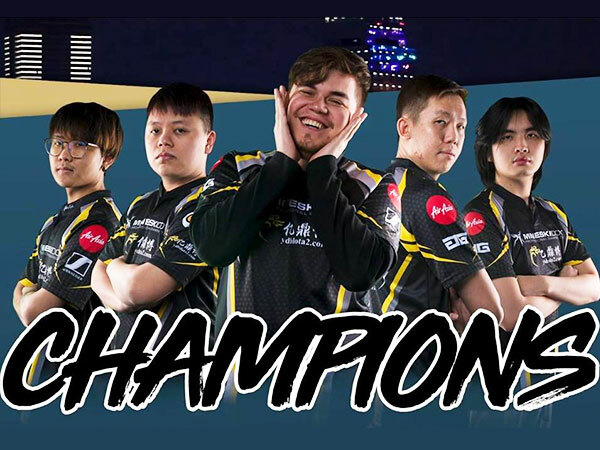 An e-sports gaming team that includes two Malaysians has won a major tournament in Shanghai, claiming a prize of USD370,000 (RM1,430,000). 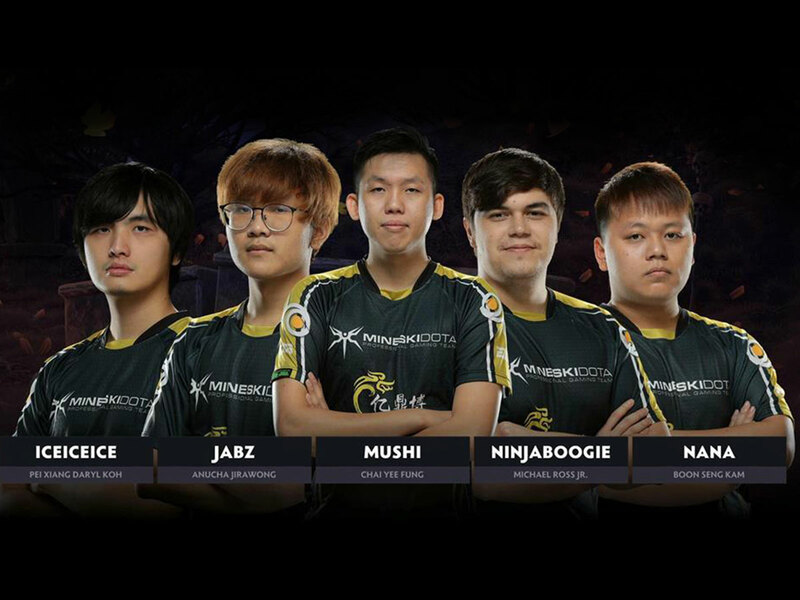 Team Mineski is a Dota 2 team, whose five members include Malaysians Chai “Mushi” Yee Fung, 27, and Kam “Moon” Boon Seng, 23. Dota 2 is a Multiplayer Online Battle Arena game, where each game consists of two teams of five players each. The Dota Asia Championships 2018 featured 16 of the best teams in the world, and began in Shanghai, China on March 29, with the finals played on April 7. This is the first time a team from Southeast Asia has won a tournament at this tier, and is the best performance of any Southeast Asian team to date. 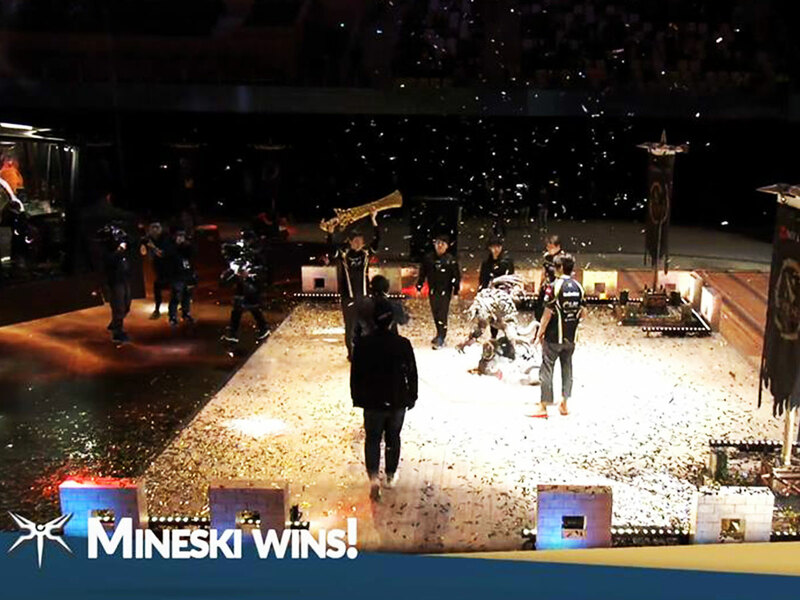 With this win, Mineski has earned enough Dota Pro Circuit points to place them fourth in the world rankings, almost guaranteeing them a spot in The International 8. The International is the biggest Dota 2 tournament of the year, which typically features a total prize pool of over USD20 million (RM77.4 million) , and will be held this year in Vancouver, Canada, starting on Aug 20, 2018. Mineski had a dominating performance in the group stages, dropping only one game to the highest ranked team in the world, Virtus Pro from the Commonwealth of Independent States. 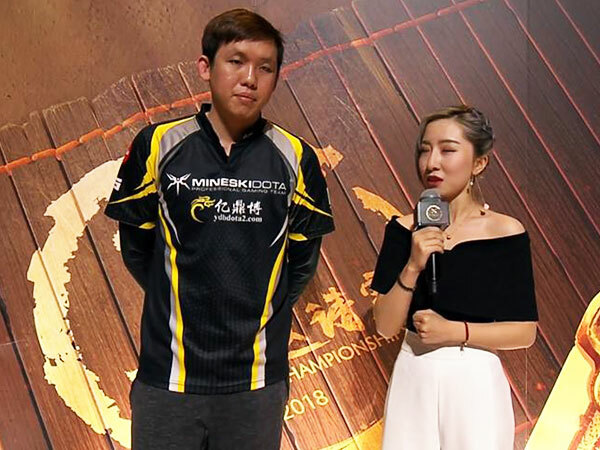 Mineski continued their winning streak in the main event, dropping only one game in their upper bracket run to Chinese team Vici Gaming, before winning the grand finals 3-2 against Chinese team LGD. The other three members of the team are Daryl Koh Pei Siang (“iceiceice”, 27, Singapore), Anucha Jirawong (“Jabz”, 19, Thailand), and Michael Ross Jr. (“ninjaboogie”, 26, USA/Philipines). The team has played together since August 2017 and recently took on coach Tang Wenyi (“71”, China), whose input appears to have improved the team’s performance considerably. The next major tournament Mineski will participate in on the road to The International 8 is Epicenter XL, which will be held in Moscow beginning April 27, and which also features a total prize pool of USD1 million (RM3.87 million). Acer today announces that it has been honored with 12 iF Design Awards 2018 in recognition for design excellence. 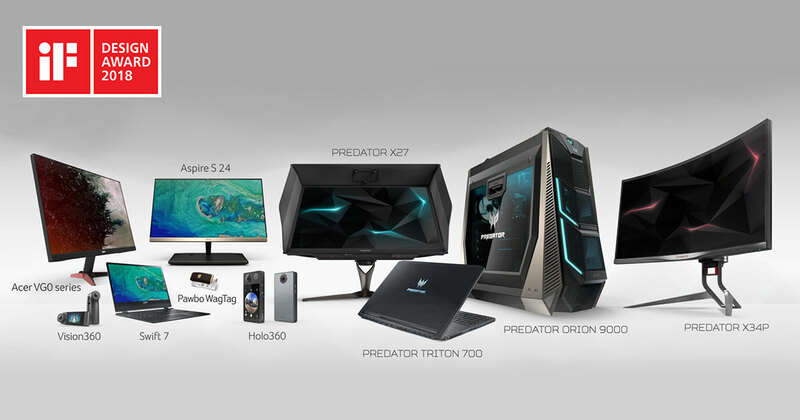 Among them, Predator gaming device, software and packaging designs led the way for Acer with six awards including the Predator Orion 9000 desktop, Predator Triton 700 notebook, Predator X27 monitor, Predator X34P monitor, as well as PredatorSenseTM software and Predator Gaming Gadget packaging design. The other award winners from Acer include the Acer Swift 7 notebook, Aspire S 24 all-in-one desktop, VG0 series gaming monitor, Holo360 and Vision360 cameras, and Pawbo Wagtag pet tracker. The notebook’s svelte 18.9 mm (.74 inch), 2.6kg (5.7 pound) aluminum chassis houses a 15.6- inch FHD IPS display and best-in-class computing technologies for just the right balance of size and performance without sacrificing thermals, features or rigidity. Its understated black chassis features a minimalist design, with straight contours and angular front corners. Gamers will take in the full view with the Predator X34 series monitor via its curved, panoramic 1900R view and ZeroFrameTM design, which rids the display of a bulky bezel for more viewable screen and less obtrusive borders. Gamers, big or small, will be able to easily find their viewing sweet spot with its ergonomic design featuring tilt, swivel and height adjustment. At just 8.98 mm thin, the new Swift 7 is an always-connected PC running Windows 10 that’s designed for mobility. The Acer Swift 7’s unmatched slim design is only the beginning of the features on offer. Blazing-fast, built-in Intel® XMMTM 4G LTE connectivity keeps users productive and always-connected, especially useful for professionals who wish to eliminate tedious wireless connection problems on the road so they can stay focused on the task at hand. The Aspire S 24 all-in-one desktop PC is Acer’s slimmest ever, featuring a display with a side profile of only 5.97 mm. The borderless display with black and matte gold color scheme ensures that the device will become a focal point of any home, adding a touch of functional elegance and luxury. 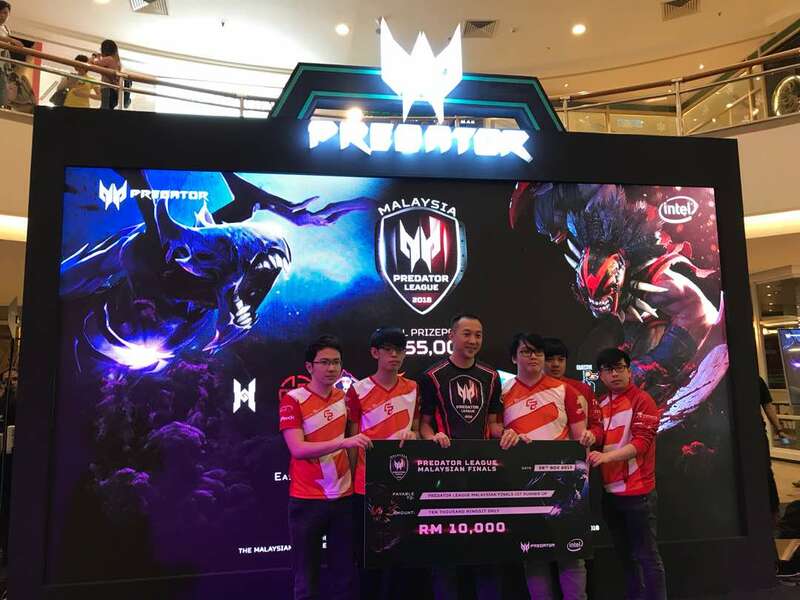 Kuala Lumpur, 26 November 2017 – The Malaysian leg of the region’s biggest world-class gaming tournament, Asia Pacific Predator League 2018 by Acer came down to a thrilling final that saw Geek Fam conquering new worlds in a game that lasted 5 hours, and defeating Fire Dragoon. Geek Fam comprises two Filipinos Skemberlu and Playhard, and three Malaysians Chyuan, Oli, and March. 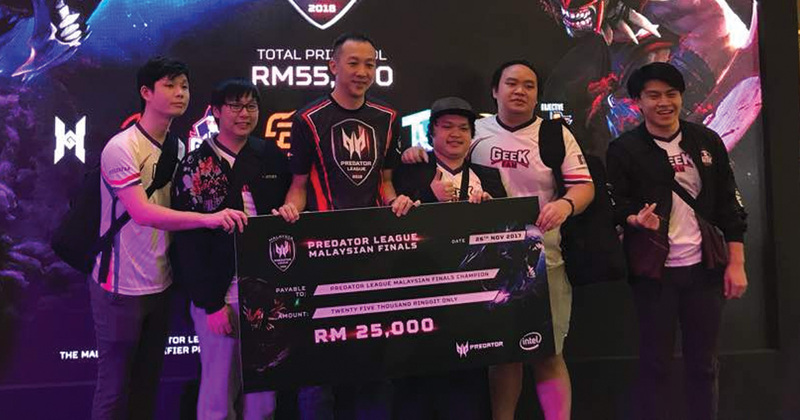 In addition to being the Malaysian champion, Geek Fam also took home the lion’s share (RM25,000) of the prize pool of RM55,000 cash and bragging rights of representing Malaysia in the Asia Pacific Predator League 2018 Grand Final that will be held in January 2018 in Indonesia. “The game was fun and interesting, and this Malaysia Final was intense. The win was particularly sweet for Geek Fam as we are a new team, formed just six weeks ago. It was a good game and the machines were good; there was no delay or lag, giving us a smooth play,” said Lim Keat Kuang aka ‘Sheep’, Owner of Geek Fam. Fire Dragoon which comprises BrayaNt, Ah Jit, KanGaroo, yaNG and Alacrity lost in the Best of 5 in the Malaysian Grand Final but was nevertheless still rewarded with RM10,000 cash for their effort. “We hope all the teams had a great experience throughout the competition and got their skills sharpened in this exciting tournament. Acer Malaysia is looking forward to nurturing even more vibrancy in the growing eSports scene in Malaysia,” Chan added. As many as 180 teams participated in the tournament that had two Open Online Qualifying rounds – the first was on 4-5 November 2017, and the second qualifier was on 11-12 November 2017. Only four teams qualified to join four invited teams to battle their way to becoming the very first Malaysian Predator League champion. 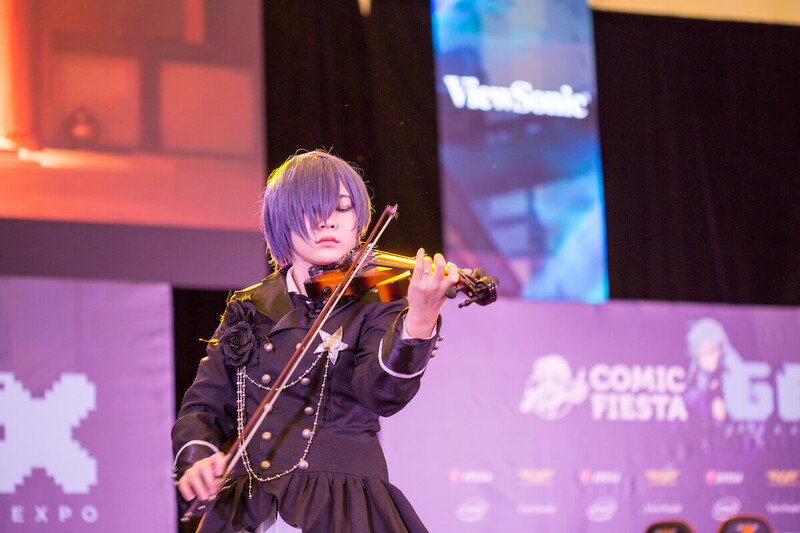 The teams in the Malaysian Grand Final were Geek Fam, Fire Dragoon, New Beginning, Objective Gaming, Team Flash, Team Highground, Team Thinker, and Estar. 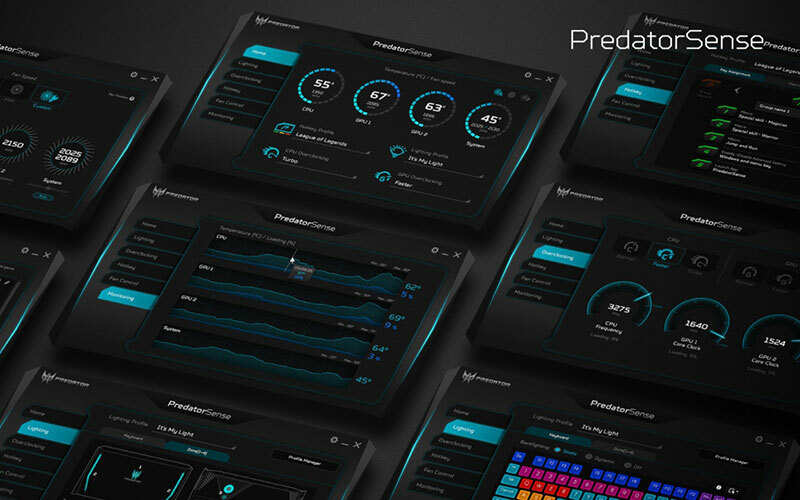 The machine of choice that helped these teams conquer new worlds are the Predator Helios 300 gaming laptops, which are powered by overclockable NVIDIA® GeForce® GTX 1060 GPU, 7th Gen Intel Core i7 (7700HQ) desktop processor and 8GB DDR4 at its core. The Asia Pacific Predator League 2018 Malaysian Grand Final tournament was streamed live at Acer Malaysia’s Facebook account at https://m.facebook.com/story.php?story_fbid=1733358676682950&id=138368236182010 over the three days of the battle where it had a reach of more than 2.2 million. The exhilarating tournament was also streamed on twitch. 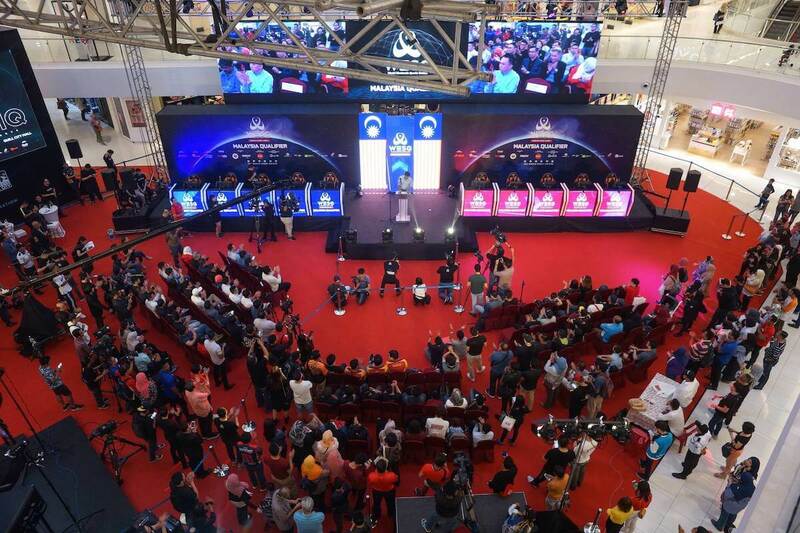 The Malaysian Predator League champion will battle country champions from six other nations (Indonesia, Singapore, Philippines, Thailand India and Hong Kong) for a shot at the USD150,000 total prize pool in the Grand Final that will be hosted by Acer Indonesia. At an indoor stadium in Seattle, United States, last August, thousands gathered on the dimly-lit stands, focusing intently on the gigantic digital screens hanging over the center-stage. Under the giant screens was not a game of basketball or ice hockey, which the KeyArena would normally host, but two isolation rooms. In one room were four Malaysians and a Filipino glued to their computers, controlling their mix of wizards, warriors and beasts with flicks of the mouse and furious keyboard clacks. The quintet swooped in for an ambush, locking their opponents with a spell that stops time. But alas, their opponents were ready and showered them with a barrage of meteors and magic spells. Amidst the chaos, the Malaysian team scatters and their American opponents steamrolled into their defenseless base to destroy it and claim victory. 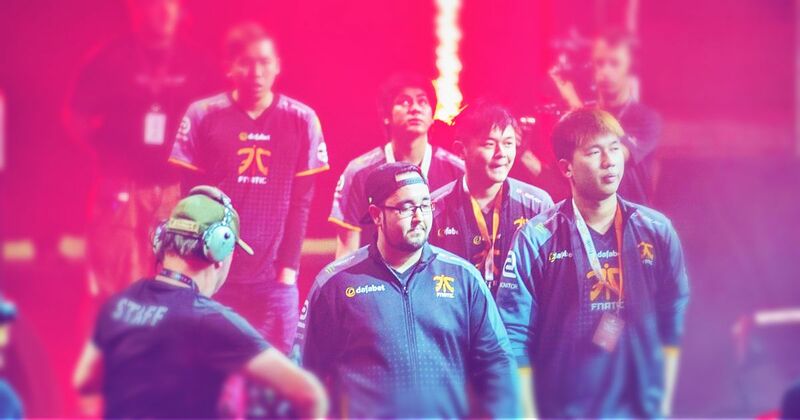 The crescendo from the crowd reaches a furious climax, marking the end of the road for Team Fnatic’s dramatic run at The International 2016, the world’s most prestigious Dota 2 tournament. 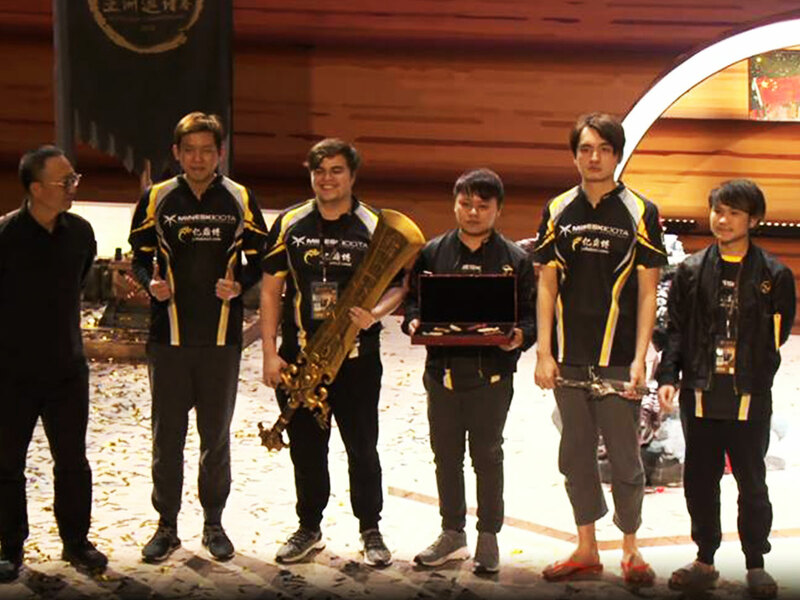 Although the loss meant that they were placed fourth in the tournament, the players walked away with a whopping US$1.45 million (RM5.81 million). They would have received US$9.14 million (RM40.56 million), had they won first place, or US$3.43 million (RM15.22 million) for second place and US$2.18 million (RM9.67 million) for third place. Nonetheless, the five still walked away with an equal portion of US$174,471.80 (RM774,000) each, after US tax and management deductions. 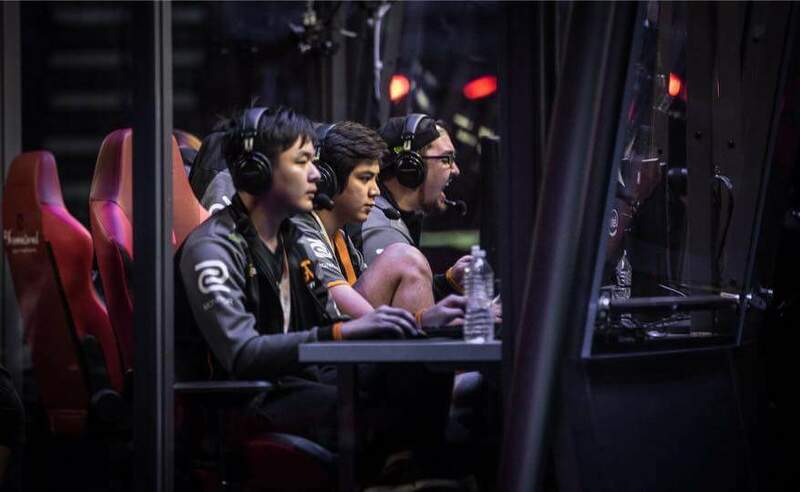 Since 2011, The International (TI) has emerged as the most lucrative annual e-sports tournament, beating even prestigious sporting events such as the recent US PGA Tour or Tour de France. The total prize pool has consistently increased throughout the years and in The International 2016, reached US$20.77 million (RM92.17 million). 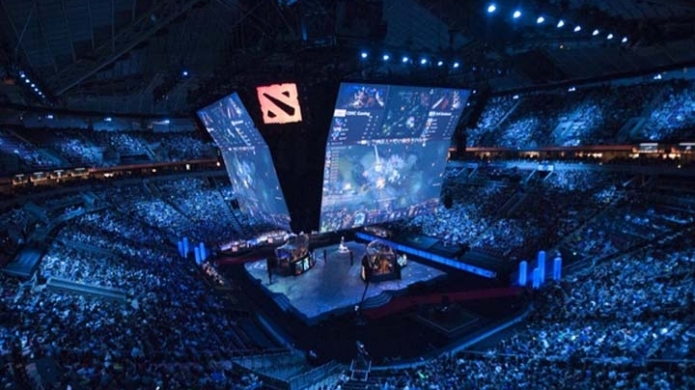 Some 150 million viewers across the world tuned into The International 2016 and broadcasters, including Malaysian satellite television provider Astro, have begun offering dedicated channels to air such tournaments. 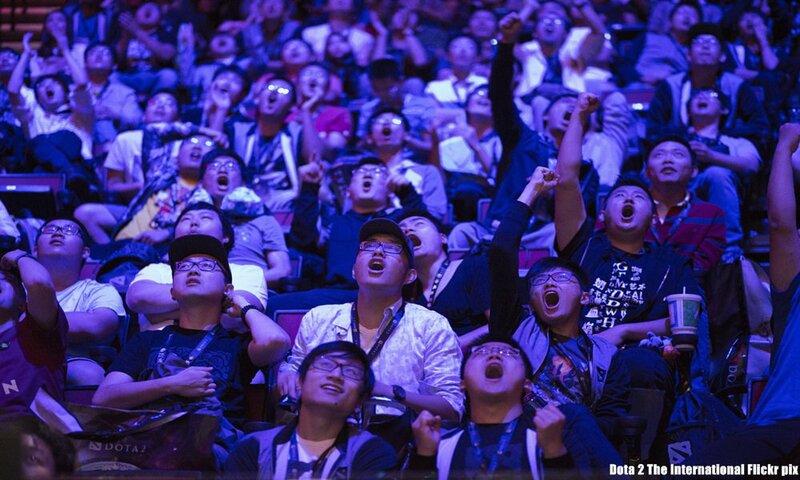 To fans, The International is to Dota 2 what the World Cup is to football. 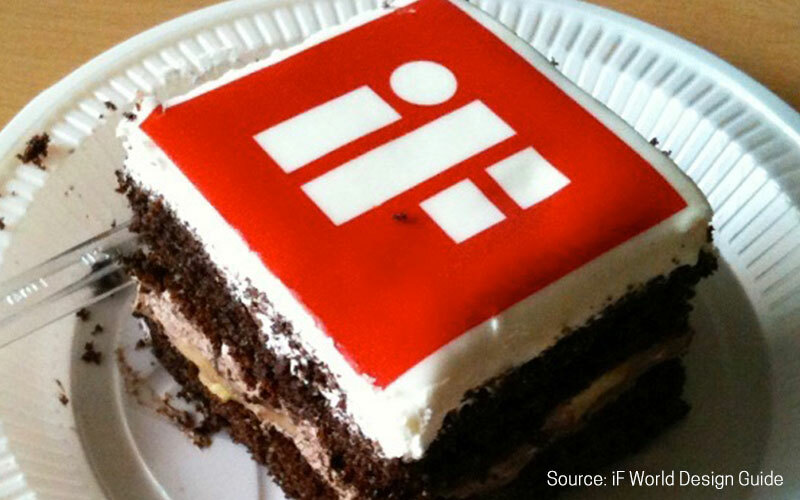 What was once perceived as mere time-waster has transformed into a professional industry. As the name suggests, professionally e-sports require a high level of dedication and rigorous training to be in peak competitive shape for a shot at gold and glory. One such player is 22-year-old Adam Erwann Shah, who goes by the handle “343”. He was part of Team Fnatic, which secured the highly respectable fourth place at The International 2016. To the uninitiated, this psychology student at Segi University is just like any other student. But on the Dota 2 professional gaming scene, Adam is a giant of sorts and is listed as the fifth highest-earning player in Malaysia by tracking service esportsearnings.com. Adam has amassed a total of US$357,158.63 (RM1.42 million) from 18 Dota 2 tournaments since his professional career began in 2015. 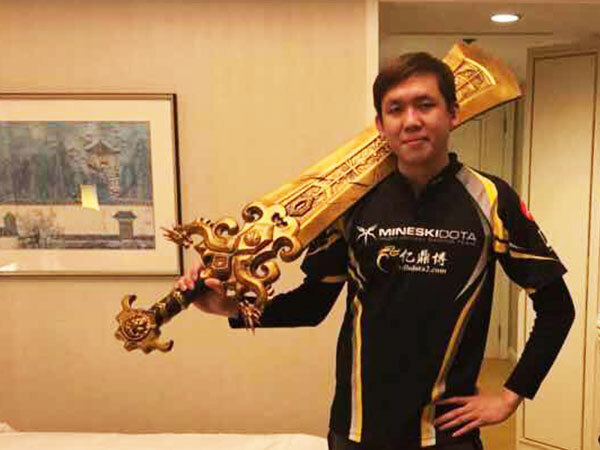 His fellow Malaysians on Team Fnatic, namely Mushi, Ohaiyo and MidOne have raked in US$773,450.02 (RM3.43 million), US$739,183.13 (RM3.28 million) and US$412,748.80 (RM1.83 million) respectively from their Dota 2 career. Their Filipino teammate DJ is the highest earning player in the Philippines, with US$474,121.51 (RM2.1 million) to date. 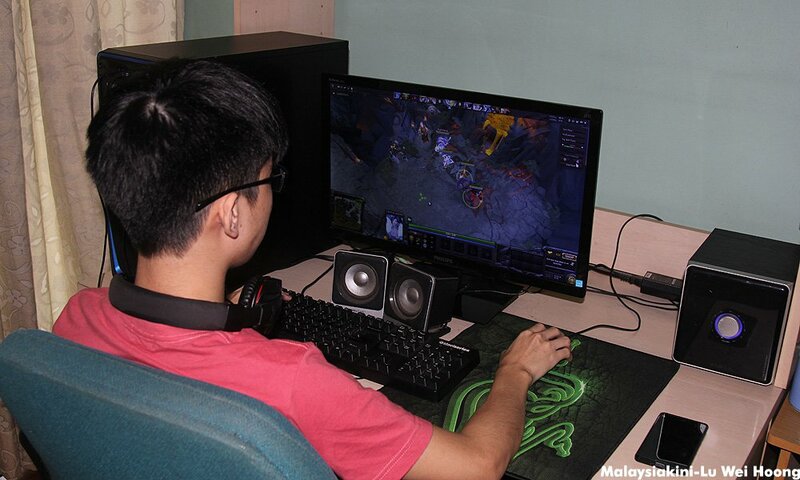 Adam was introduced to Defence of the Ancients – the predecessor to Dota 2 – when he was in primary five. What started as a casual past time eventually became a career. But after The International 2016 and despite his passion for the game, fatigue eventually set in. “After I played TI, I come back and I just don’t want to play Dota. I just want to be away from it. He recalled the regimented training – better known as boot camp – he had to undergo in the lead up to The International 2016. Along with his teammates, they had to live in a dedicated team house, away from their families, to train full time. The team’s management even supplied a cook. “In the morning, we come down, we eat and talk, watch replays of our games or play the game. It’s just Dota. We have no time for Facebook or anything else. Dota is the only thing on your computer. “Usually, by 1pm or 2pm, we will play like two best of three games a day. In between, we usually just have 90 minutes of rest, then we either have to go for a swim or spend time in the gym,” said Adam. At night, Adam and his teammates will have to play more games as part of their training. This goes on for seven days a week during boot camp. To Adam and his teammates, this is essentially “full-time work”. Adam concedes that the training regime is gruelling. The trade-off is the opportunity to travel the world as a competitive e-sports player. The only breaks he gets to enjoy are a few days after each tournament, which he would spend with his biggest fans: His girlfriend, family and his 84-year-old grandmother. “They all watch it on TV, even though they don’t really understand what’s going on. They’ll just be shouting at the TV. It’s really touching. When I lose, I kind of feel like I have let them down. Much like professional football, Dota 2 players can be traded or loaned, bought or sold, depending on the contract. Since The International 2016, Adam left Team Fnatic for a Manila-based team before heading to Europe to join a team called B)ears, which consists of a German, a South Korean and two Jordanians. 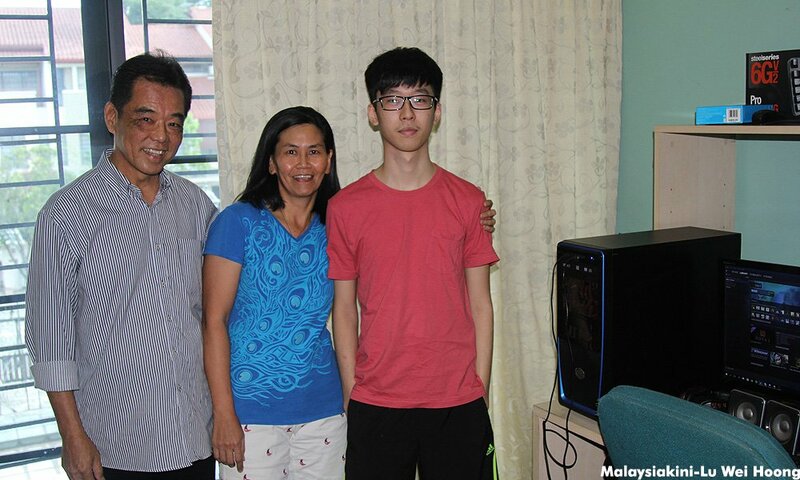 Unlike Adam’s family, which has been open to the idea of competitive e-sports, another professional Malaysian Dota 2 player Byron Young, better known as Syeonix, struggled to convince his parents to let him pursue his dream. Byron (photo above), from Kuala Lumpur, is the youngest in the family. His father Jefferson Young is a businessman who specialises in firefighting equipment. Initially, the 61-year-old could not agree with Byron’s dream of playing computer games, which he believed was a waste of time, to earn a living. Jefferson and his wife Janet Wong are avid sports fans. They enjoy squash and golf. Both of them rather have their son playing golf instead of Dota 2. “Is e-sports even a sport? Sports means sweating and moving your muscles. You need to be fit. 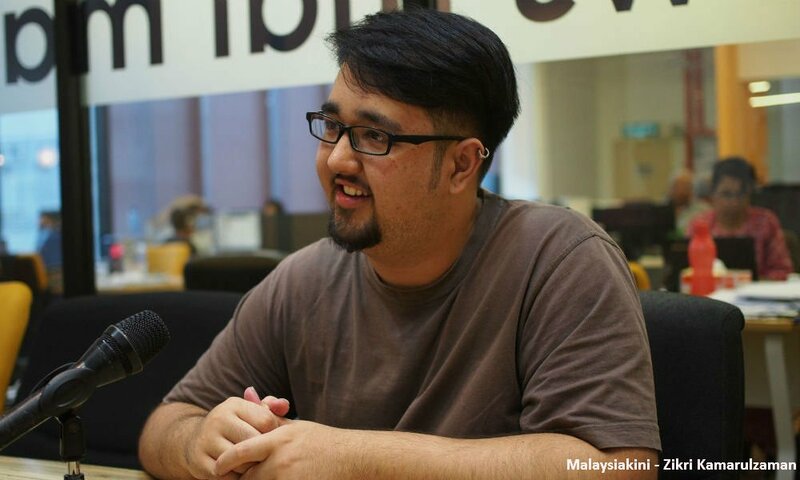 Do you think you can be fit by sitting around?” asked Jefferson, who interrupted Malaysiakini’s interview with his son. Jefferson’s opinion on e-sports that they do not produce true athletes persists to this day. His opinion on his son’s career choice, on the other hand, has changed. In December 2015, Malaysia played host to the inaugural Malaysia Cyber Games tournament and Prime Minister Najib Abdul Razak and cabinet minister Salleh Said Keruak were guests of honour. For Jefferson, the presence of Malaysia’s chief executive was enough to convince him that e-sports was going places. “Even the Youth and the Sports Ministry backed MCG. From there, we learned that they may have a future. Ah Jib Gor was there. 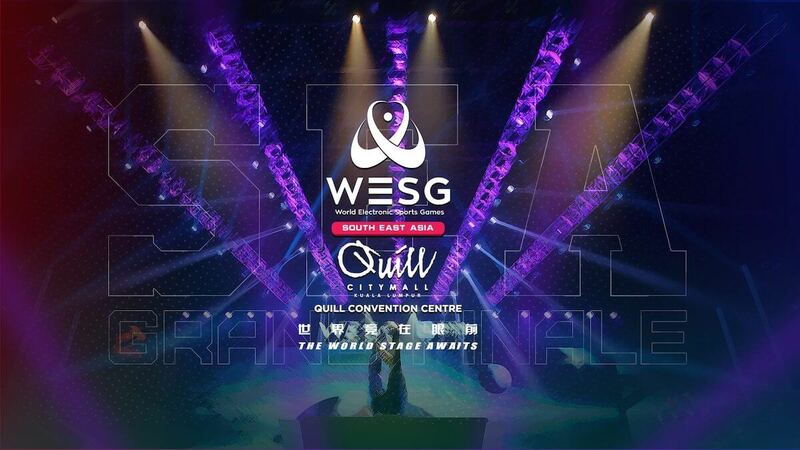 It means there is a future (in e-sports),” he quipped. Following this, Jefferson and his wife Janet sponsored a computer for their son’s training, while Janet set up a joint account to help manage their son’s prize money. Eventually, Byron was selected as a member of Team Taring, a team with government backing that was supposed to represent Malaysia abroad. Players drew a monthly salary of RM4,000 and lived in a training facility in Johor Baru. Despite the media attention and government endorsement, Team Taring never made an impact on the competitive scene. It was disbanded last year. Without a team and a source of income, Bryon is still determined to pursue his dream. “I will give myself two years to make it. If I don’t, I’ll return to my studies. Everything must be completed before I’m 20,” said Bryon, who is now with a Kuala Lumpur-based team, Geek Fam. Adam, who has made it in e-sports, advised all aspiring professional e-sports players not to put all their eggs in the e-sports basket. The risks involved in e-sports are tremendously high and many will not achieve anything.